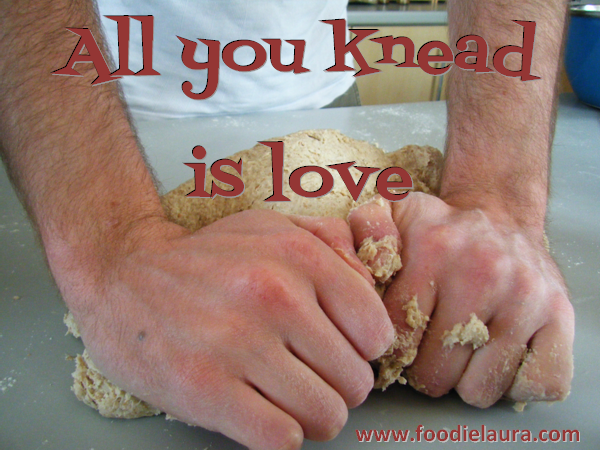 Bread week is Trevor's favourite, he bakes all the bread in our household, he's my dashing king of bread. I can do bread but it just doesn't have that final polished finish that Trevor seems to get, my bread always looks very homemade. It tastes fine but it's never quite as good as Trevor's, may be he just has natural flair for bread. He developed his bread skills when we were living in Japan. The Japanese bread was very sweet which was no good for savoury sandwiches, simple breakfast toast or anything except bread and and jam really. 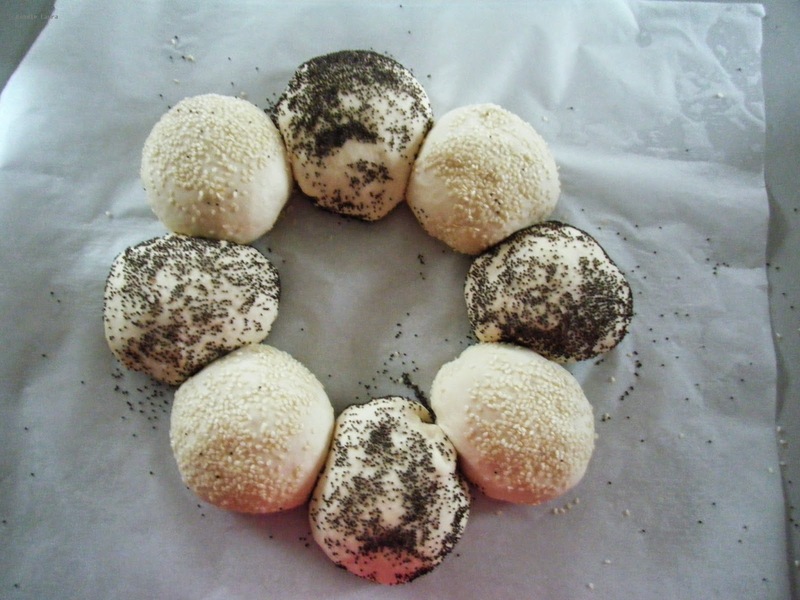 So Trevor started making his own bread and filling both our freezers with his wonderful handmade rolls. He still makes as giant batch of rolls every two weeks and fills them with all kind of delights to take to work for his lunch. 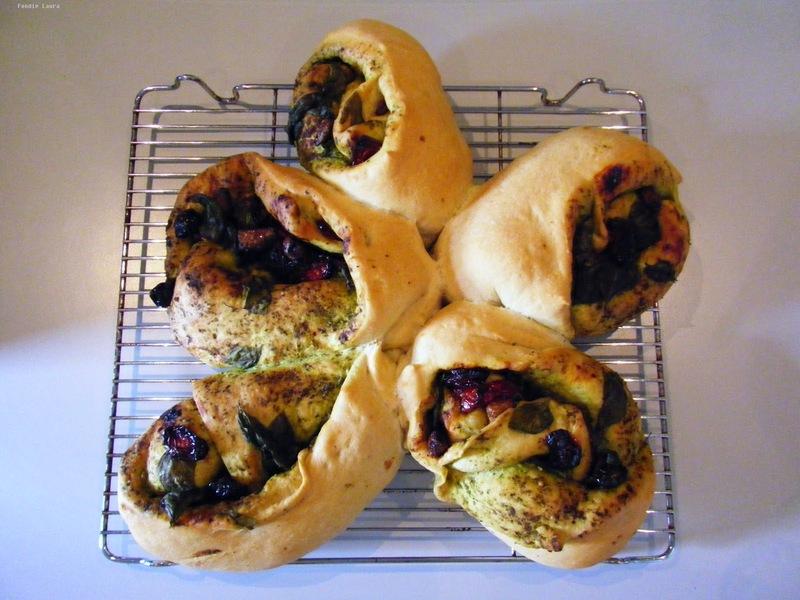 Last week Trevor made a lovely filled bread which was the Show Stopper challenge on the Great British Bake Off. It was an adaptation from the first bread book he bought. We've had a much smaller version of these rolls filled with roasted garlic, pesto, basil and tomatoes many times before but neither of us could remember if they had the dreaded air pocket that Paul Hollywood was criticising the contestants for. So Trevor made them again and fashioned them into a sunflower shape. I can happily tell you that they don't have any air pockets. When you've got your own in house master baker there isn't much need to be well versed in bread techniques but I wanted to see if I could pick up a pointer or two from Trevor to improve my own bread. I had him watch me bake my sesame and poppy seed crown and critique it Paul Hollywood style. 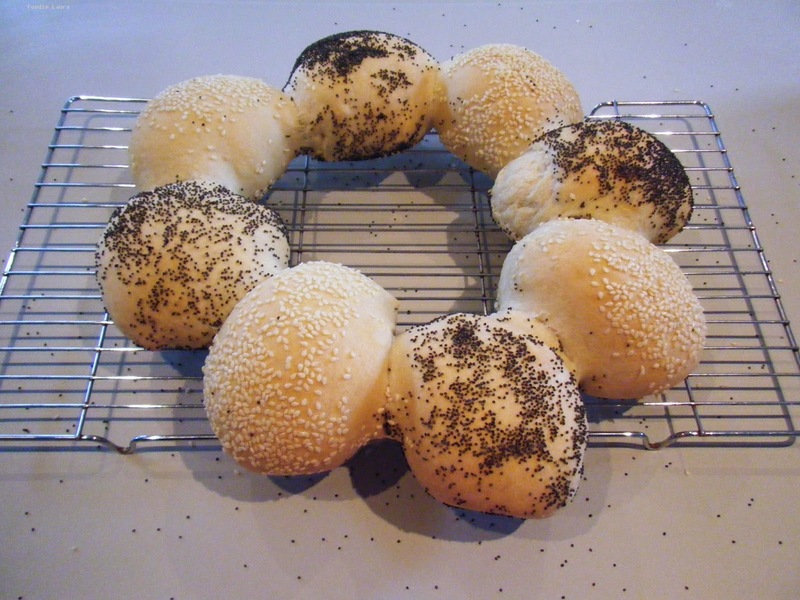 The inspiration for this bread roll ring came from a Marks and Spencer loaf. The hand kneading took a while, I kneaded as we watch music videos and decided to knead in time to the beat, I have no rhythm but we had a good giggle and the ten minute kneading time passed quickly. I also couldn't get the seeds to stick to the rolls. Trevor suggested rolling them into the seeds rather than sprinkling the seeds on but we still found a lot were falling off after baking. Trevor showed my how he shaped his bread rolls. Flattening them slightly into round pucks before folding the edges neatly underneath the smooth dome of the roll. I was happy with the final result and there is a very satisfying feeling of accomplishment as you present your bread, hot out out of the oven to expectant waiting mouths. But, truth be told, when it comes to bread I prefer to be the waiting mouth rather than the baker.